Barbie's sister, Chelsea, is auditioning for the lead role in her school play. But when her nerves get the best of her, Barbie's friends and sisters share their stories about how they, too, were nervous before performing a big vocal event. 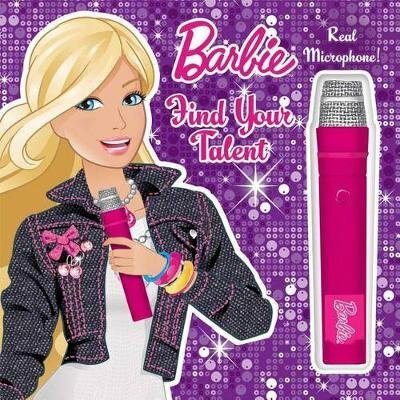 Now kids can join in the fun with Barbie, her sisters, and friends, as they perform their own vocal talents with their very own microphone that comes with the book The microphone amplifies the user's voice so she can rock out, perform, and announce to her heart's content.